For more than 100 years, the Oromo people has been at war with enemies sworn to its destruction. It did not seek enmity or hostilities with them. For much of this period, the Oromo leaders has pursued various strategies – including military engagements, benign neglect, willful blindness and outright appeasement . They all ignore the aforementioned realities and, as a practical matter, have exacerbated them. A lack of clarity about these realities or a strategy for dealing effectively with them has contributed to a strategic environment of great and growing danger and a wholly inadequate Oromo people struggle capacity for contending with such perils. Ethiopia is a key strategic ally for the War on Terror, which insulates it from any US condemnation. Ethiopia receives the largest aid in Africa — an average $3.3 billion per year. The government abuses aid money to the extent that even government-provided seeds and fertilizer is denied to farmers who are not party members. Regarding the current uprising, the United States has issued a statement of concern. However, the regime itself is noticeably unconcerned because it knows these statements by the U.S. are accompanied by little or no action. Even the African Union, with its headquarter in Addis Ababa, while rightly concerned about a potential genocide in Burundi, is conspicuously silent on the massacre taking place against the Oromo right on its doorstep. The Ethiopian military as an institution has acquired unprecedented power. Under any conceivable scenario, the military will continue to be a key and decisive player. Yet, it is not a truly national army; at the officer corps level, it is heavily dominated by Tigreans. Control of key economic sectors by the military under the EPRDF have made it difficult to limit its role to a strictly military one. The military’s role has other consequences of spiraling ethnic conflicts which have reached a boiling point in the current uprising. EPRDF rule has engendered profound hatred and resentments among different groups with Ethiopian society. Beginning in December 2010, unprecedented mass demonstrations against poverty, corruption, and political repression broke out in several Arab countries, challenging the authority of some of the most entrenched regimes in the Middle East and North Africa. For example forcing Ben Ali to flee from Tunisia. The apparent success of the popular uprising in Tunisia, by then dubbed the Jasmine Revolution, inspired similar movements in other countries, including Egypt, Yemen, and Libya. Such was the case in Egypt, where in 2011 a popular uprising forced one of the region’s longest-serving and most influential leaders, Pres. Ḥosnī Mubārak, from power. Qube generations of gallant Oromo son and daughters inflamed the century long grievances and harassment of Oromo people in the name of Addis Ababa Master Plan encroaching and displacing Oromo farmers, but this masks a deeper grievance which has been brewing for at least two decades under this regime, and for over a century under successive Ethiopian rulers. Those uprising in Oromia was forcefully stopped by special commando of TPLF, killing at least more than 1000 peoples (including women and children) and imprisoned countless innocent freedoms fighters. While opposition and discontent have been growing in Ethiopia, the security apparatus is ever vigilant against them . The TPLF marginalized both the legal and the extra-legal opposition, leaving little option but to fight them till death. This paper starting with a clear-eyed understanding of the enemy we confront – namely, Barbaric TPLF government, well-funded TPLF propaganda machines, traitors and puppet individuals, weak and paralyzed splinter organization and the essential elements for countering it. Barbaric TPLF government: The same system that imprisoned, chopped and hanged general Tadesse Biru, Mr. Gudina Tumsa, Mamo mezemir and countless Oromos are still govern us with a new face (TPLF-elite). My question is what is the rational explanation behind this endless sufferings? 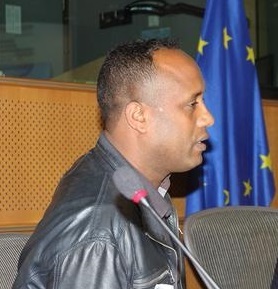 In order to get to the root of the colonial problem in Oromia, it is necessary to understand that oppression experienced over such a long period of time effects people’s minds and souls in seriously negative ways and creation of countless traitors those who expands enemy destructive propaganda internally and externally. It means recognizing that colonial injustices and oppression have had effects on both individuals and collectivities. Health and healing, in the true sense of these terms, can only be achieved by breaking out of the toxic environments of the enemies propaganda and reserve; physical, spiritual, psychological health of Oromo people, and socio-cultural integrity. When we are working together to achieve all those goals we become strong and dignified nations and our enemy will be weak and ineffective. Traitors and puppet individuals: History has proved to us that our heroes were the true champions and advocates of true human rights and father of freedom. But down the line of struggle instead of burning with desire for independence and freedom , the traitors who were not ready to pick up arms and fight for their freedom, more comfortable to eat the colonialist leftovers were systematically educated and groomed to inherit the mantle while the WBO (our heroes) still fighting in the bush and qeerroos are confronting well organized and equipped TPLF junta with bare hands. Opportunistic individuals and traitors were rewarded with plum jobs in the government and good education for their kids with scholarship overseas. In a new fake federal government of Oromia with an Oromo face yet the ‘colonial masters ‘still calling shots and controlling from their comfortable and luxurious oligarchical palaces in Mekele and arat kilo. The political game to hoodwink and brainwash Oromo’s with the sweet sugar coated songs of patriotism, real democracy, time of development is over. Oromo’s are fed up with those who claim to be defender of his right and champion of democracy and yet looting our economy, amassing wealth and banking their loot overseas. Our new colonial masters have two faces known enemy TPLF elite and Opportunistic individuals, traitors and colonial collaborators who still enjoy the strapping of power and wealth inherited from the colonial masters. Unless we as a freedom fighters unite to fight them, our freedom and independence will just remain an ‘illusion‘ and our pride, desire to be free will soon be buried into the grave of oblivion. Political instability is often act as a barrier to sustainable human development, because they are disruptive to the delivery of services and development programmes, and make it more difficult for leaders to be accountable. The better organized the party is internally, the stronger its responses when faced with sudden challenges such as leadership changes, internal crises, enemy messengers and reforms within society. In any democracy, having skilled and committed leaders are essential to the durability and impact of organizations. Leaders determine if and how the organization will deploy its resources, prioritize its goals, and engage with its community to take action. They incorporate individuals into the political system by bringing them into association with each other, represent members’ shared interests in the public arena, advocate for public outcomes, build democratic capacity within the public, and provide public forums within which democratic learning, motivation, and deliberation can be fostered. Leadership is essential to all of this work. Yet multiple questions about leadership and leadership quality within political organizations still deserve more study, it is better to identify the leadership practices that seem to be the most effective. It is sad and unfortunate to see how many paralyzed and dormant organizations are formed since 1991 in the name of Oromo people. Before 1991 OLF has fought gratefully and thankfully a well-organized colonial power and brought light to our people. Still OLF is doing all kinds of struggle under very complex and complicated regional and geo-political situation (military, political and social ) in order to destroy our sworn enemy TPLF-junta. Many Oromo media (TV and radio) have done enormous contribution to enhance our struggle. My question is here not the formation of a political organization but the fruitfulness and results of all those new and splinter organizations!!!!! Did they transfer our struggle from one step to other? Did they produce any significant positive evolution? Did they have brought unification among our society or confusion? Where is their creativity? Where is Their responsibility for their failure to fulfill what they promise? Where is their quality to enhance their people struggle on world stage? Our struggle is not par-time job, it needs permanent presentation. Are their leaders consistently present on the stage or come to stage when their pocket is empty? Are their leaders are contested with pain and grievances of our society? Are their leaders create job for themselves in the name of Oromo peoples in order to compensate their incompetence in these competitive world? Are their leaders dare to confess international leaders and organizations to confront the ongoing atrocities in Oromia? If yes tell officially to your people publicly your records when and where. For me it is clear they are born to confuse and destruct our people from our goals, create jobs for themselves and empty honeycomb. In medical terminology natural menopause is defined as the permanent cessation of menstrual periods, determined retrospectively after a woman has experienced 12 months of amenorrhea without any other obvious pathological or physiological cause. It occurs at a median age of 51.4 years in normal women, and is a reflection of complete, or near complete, ovarian follicular depletion, with resulting hypoestrogenemia and high follicle-stimulating hormone (FSH) concentrations. Adverse political developments can create direct socio-economic stagnation and affect seriously the long term plans of our peoples. So after so long period of time in our struggle (Oromo people struggle) it is time to be in menopause than giving birth to a handicap and paralyzed organization. My message to those leaders who were already born and hospitalized in invalidation centrum please look a good diagnostic algorithm for your disease in order to classify a right diagnosis for yourself to get a right treatment in the rehabilitation center before asking a diagnostic algorithm for healthy Oromo people. For groups who are preparing to acquire leaders from menopause time please get ready to exclude the chromosomal abnormalities in order to avoid disability of your leaders. Oromo people needs healthy, competitive, creative and charismatic leaders. For organization, those still working hard day and night to destroy our enemy in the bush and in the streets of Oromia and looking forward to create the best strategy to eradicate ones and for all our enemies stop to make deal with disabled groups and empty organizations. Freedom is not pass to our children in the bloodstream. It must be fought for, protected and handed on for them to do the same. We as an Oromo, we must never lose what make us the best freedom fighters, first democratic nations in the world and most generous people in the globe even for our enemy. While the stand for freedom must begin with each of us individually, one alone is not enough. All freedom lovers must stand together to vanguard our victory. In my heart I still believe there are men and women who will stand for freedom, just as our hero’s did, not out of pride or power, but out of sense of service to the people of Oromo. Long live WBO and Qeerroo.